Humanity just found an incredibly valuable resource hidden under the ocean floor, and it’s more precious than fossil fuels or minerals. Scientists discovered vast aquifers of fresh water underneath the sea. A study published in the December 5th edition of the journal Nature reveals the existence of nearly 120,000 cubic miles of low-salinity water beneath South Africa, North America, Australia, and China. This figure amounts to a volume 100 times greater than all of the fresh water used since the beginning of the twentieth century. 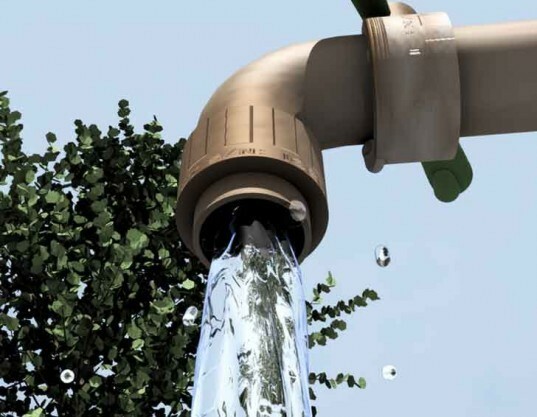 According to the UN, half of the globe will be struggling to find clean, fresh sources of water by 2030. As countries begin to ramp up their efforts to build desalination plants, the discovery of fresh water below the sea may help ease the pressure on exploding populations. The water became trapped in its present location hundreds of thousands of years ago back when oceans were not nearly as deep. Scientists hypothesize that rainwater could have seeped through the ground and deposited itself into aquifers. When the polar ice caps began to melt around 20,000 years ago, the level of the sea rose and layers of either clay or sediment protected the reservoirs from salty contamination. Accessing the water may prove difficult. Drilling comes with a whole host of environmental concerns including ecosystem damage and salt intrusion. The reserves would also need to be used sparingly, because once they are tapped they will not be replenished until sea levels drop once more. With the specter of climate change, this scenario is unlikely to happen for an extremely long time. Still, the human race may have found a vital new resource to ensure its survival into the future. I do not believe that lack of water is the problem. Overpopulation is the problem. Control the birth rate and get the population under control and many of earth's problems will be solved. Why is this so hard to see? Leave it alone!!! Our future will be that of Mars if we continue done this path. Leave it alone. We have enough on the top of the planet if we just treat it right. It is there for a reason and should be left alone. I'm confused, why is everyone so concerned with fresh water when we can produce water from thin air? Really don't get what all these scientists are doing but clearly they're focused in the wrong things. The only long term solution is to produce water from the AIR. Every other solution of tapping into rivers oceans or whatever is not sustainable in the long run because rivers dry up, oceans change but the air will always be there, even in the middle of the desert where no oceans exist, you can produce water from air. Combine solar power with water generation and you have a sustainable endless supply of fresh water. It is that simple to solve. There's several atmospheric water generators available to purchase, from small personal ones to large industrial. You can just go online and buy one if you want and there you go, endless free water to drink and do whatever you want. Um, so, yes, this is a thing. But since it's not a /system/, it's not being /renewed/. If we start tapping it, it will eventually run out. Please make sure it doesn't get tapped into until they fix the problem with the Fukushima nuclear power plant, why let it be contaminated. Great discovery, delicate problem! So, you can build huge intercontinental (bridged) tunnels under the ocean and use the water to freshen up at the truck stop? That's great but when the aquifers have some water taken out of them won't the roof's cave in from the weight of sea water on them. I think we pretty much agree we don't trust ourselves with information like this. Instead of fixing our current problem, we would rather dig a bigger hole (figuratively and literally) to fill the current one. I believe we could survive on the amount of fresh water we have now for the future, if we put our minds to it. Continue to look for new source to exploit instead of taking care of what we have now is why humanity is described as a virus. Nestlé will be all over that! Don't let Nestle steal it. And let me guess, we're going to deplete the ocean of its fresh water to feed the overpopulation of humans who can't stop reproducing into the millions. Humanity just found an incredibly valuable resource hidden under the ocean floor, and it's more precious than fossil fuels or minerals. 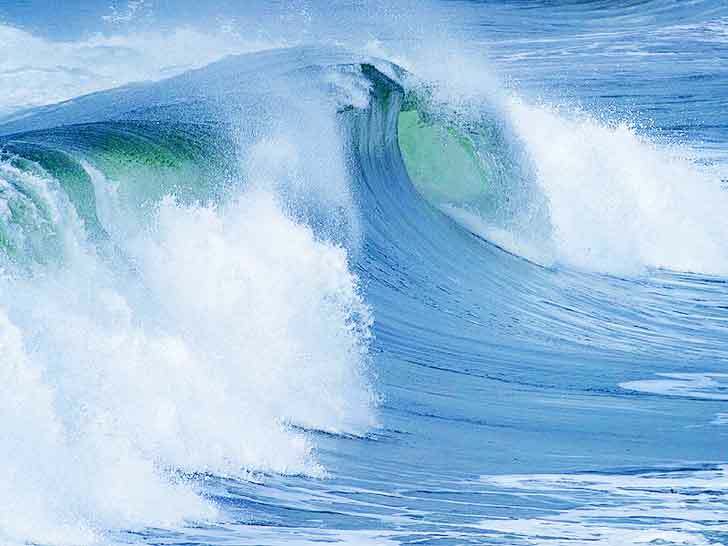 Scientists discovered vast aquifers of fresh water underneath the sea. A study published in the December 5th edition of the journal Nature reveals the existence of nearly 120,000 cubic miles of low-salinity water beneath South Africa, North America, Australia, and China. This figure amounts to a volume 100 times greater than all of the fresh water used since the beginning of the twentieth century.